Pakistani cuisine at its finest, our latest Portico Place is a South London favourite of ours, Masala Wala. You'll definitely not want to cook tonight after you've explored this delicious menu, so we went along to take one for the team and report back what all the fuss is about! Nestled away in the charming village of Brockley, Masala Wala's brightly decorated shop-front entices you to take a closer look. Brockley is a lovely up-and-coming area, with delis, coffee shops, bars and restaurants popping up over the last few years, and the locals love it. Ever time I pass by, the small restaurant is packed with people enjoying some great Pakistani grub in the low lighting and mood music of this lovely food stop. "I started Masala Wala by convincing my mother that her Pakistani home food was good enough to serve to the masses! She's been cooking these recipes for over 30 years and it's been fantastic to showcase what home cuisine means to us, in London. Asian mothers are ready to cook for a large gathering, may it be friends or visiting families, at any time so she already had the large pots ready when we opened our doors!" Stepping through the door of Masala Wala, you're greeted with a delicious and intense smell of spices. Only a small room, the restaurant is intimate and cosy without feeling like you're on top of your neighbours. There's a rustic feel in the exposed brickwork and great prints around the room, so we're feeling at home right away. Drinks first, and the drinks menu at Masala Wala is a little bit different - which we love. 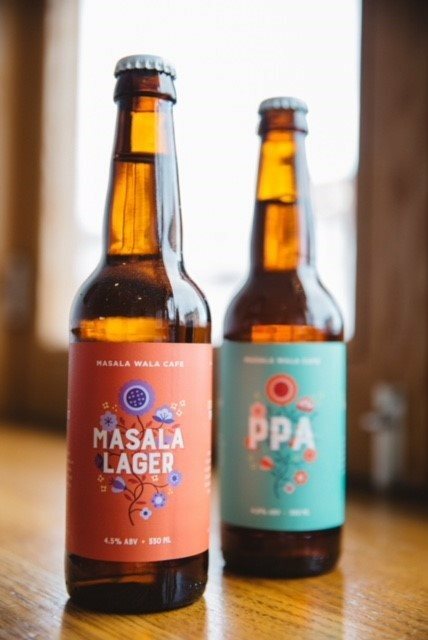 As well as the usual suspects, you can indulge in a Masala Chai, Rose Lassi or a Masala Lager or PPA, which has been produced at local Brockley Brewery. We opt for the Masala Lager which is light and fresh - the perfect accompaniment to a heavier, flavoursome Asian meal. Saima tells us, "We recently had a redesign of the shop front and Masala Wala experience, with our learnings in mind. To make sure our diners had an extraordinary time as well as delicious Pakistani food, we decided to change the menu every month, to alternate between hearty dishes in winter and light fresh flavours in the summer. And, to celebrate our alcohol licence, we got our local Brockley Brewery to create a couple of beers to go with the food!" The menu is short and sweet, with only four options on main course - but plenty of sides and condiments to keep your plate busy. We opt for the Murgh Channa (chicken and chickpeas) and Keema Muttar (minced lamb with potatoes and peas). The food is delicious and authentic, with the Murgh Channa taking my top spot, with a gorgeous level of spice and fall-off-the-bone chicken. On the side, we indulge in rice, roti and raita to accompany the curries and the variety and flavours offered make this one of the best Pakistani meals I've ever had, as well as taking me back to my travels in the Pujab. Masala Wala is the sort of restaurant you can while away an entire evening, so over our Masala Lagers, we slowly eat our way through the Barfi and Kheer desserts (the barfi, especially, was out of this world!) and wander home full and content, and already discussing our next visit. What does the future hold for Masala Wala? Saima tells us, "Watch out for pop ups in the local area and possibly another site!" 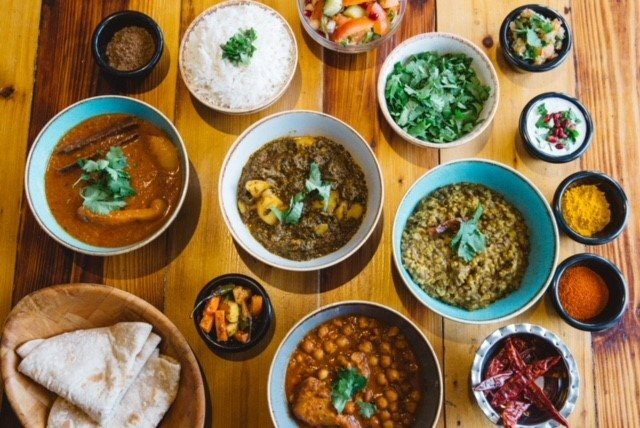 Treat yourself to a curry night to remember in Brockley's Masala Wala today and enjoy 10% off the bill Sunday - Thursday, only with your Portico Places card. Explore the menu below and plan your visit today! 10% off the bill from Sunday - Thursday.